I hate to admit that, although I’ve been a progressive music fan for almost 3 decades now, I was a little late to the game with Rikard Sjöblom. I had heard about his genius for years and years, whether in Beardfish or Big Big Train. I finally got the last 2 albums in his Gungfly project, and I am kicking myself for all of this wasted time. 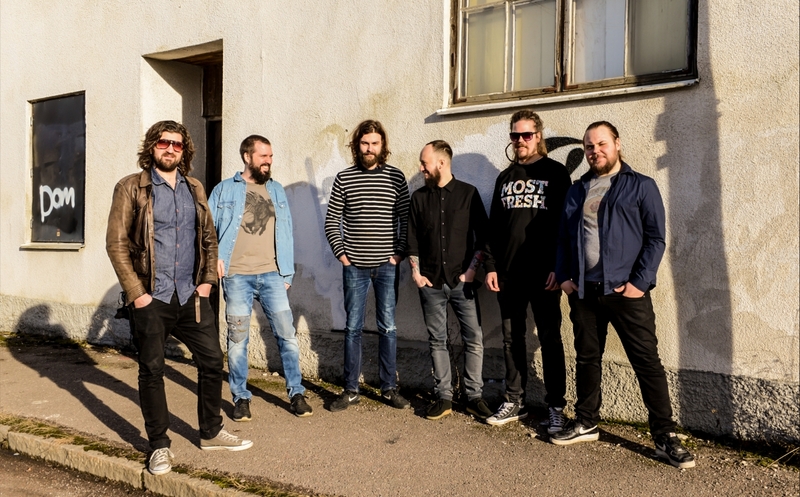 Friendship was written almost entirely by Rikard, but he is joined by bassist Rasmus Diamant, drummer Petter Diamant, and his former guitarist from Beardfish, David Zackrisson. The music is brilliant and technically complex, but it’s also overflowing with nostalgia- both in subject matter and in style. There are passages that remind me of Jethro Tull, Genesis and Yes, and there are songs that sound as modern as ever. The album, to me, is about reflection, and it manages to capture that feeling well. “The idea for ‘Friendship’ came to me because of an old photo of me as a child. I found this old photo at my parents’ house, depicting me standing on top of this really tall treehouse in a glade near our house. Although I of course remembered it as being really high up in the tree tops as a child, this picture proved that it really was! As I reminisced about the treehouse I started thinking about my childhood friends with whom I built it. We were the best of friends and we spent so much time together in this little village where I used to live. That’s a lot to quote (and in a review, nonetheless) but I feel like it’s important context to understand what exactly Rikard was aiming for with this album. As I am a being made up of mostly nostalgia, this album touched me deeply, and spoke to me both lyrically and musically in profound ways. “Ghost of Vanity” was an instant love. The main riff of the song is a total earworm, and this song will lodge itself in your brain and stay there for weeks, if not months. I love how retro-prog it feels, with the classic keyboard sounds and technical wizardry, but the song has a wild, modern feel to it as well. The pixel art video is pretty awesome, too. “They Fade” is so painfully nostalgic that it hurts. This could be reduced to the album’s “ballad”, but it is so solid and heartfelt that I feel like it would be somewhat of a disservice. With big harmonies on the chorus, this is the type of song that goes straight to your heart. The lyrics are pretty threadbare- he talks about the complex feelings that surround the ebbs and flows of friendships, and the feeling of knowing that they’re lost in the past, but also the longing for the feelings of comfort and familiarity that youth offered. Instrumentals are often times viewed as filler, even in a genre that is full of musicians (which is unfortunate). Exciting songs like “A Treehouse in a Glade” make a great case for why that belief is so erroneous. The song features some lovely musical interplay between instruments, and is a delight from start to finish. I’ve said this before, and I’ll repeat it: in a genre that is historically known for its’ tendency towards escapism, it is always refreshing to see bands and artists take on topics that are more relatable and human. Nostalgia is a feeling that is both simple and also complex, and to tie up the feelings around the setting of the treehouse of his past, and to ground those feelings in a place, is a really effective way to communicate the complexities of that part of our human experience. Each one of us has a “treehouse in a glade” from our past, just like each one of us has relationships that we’ve lost for whatever reason that we long for. Friendship is a beautiful, contemplative, and moving album, and Sjöblom’s ability to communicate powerful themes like loss and nostalgia through both honest lyrics and heartfelt, contemplative music should impress any active listener. Rikard Sjöblom is an extremely talented multi-instrumentalist, and his work with Big Big Train and Gungfly are proof enough, but Friendship is a testament to his focus and tremendous songwriting ability. He achieves a rare balance between complexity and humanity with his music. I am really enjoying the process of catching up with the rest of the prog world with his work in Beardfish and Gungfly. Order Rikard Sjöblom’s Gungfly’s latest album, Friendship (released on November 9th, 2018) , here. Tags: friendship, Rikard Sjöblom, Rikard Sjöblom's Gungfly, rikard sjolblom. Bookmark the permalink.